At Jarrett Bay, we provide a triple-A trifecta of unparalleled customer service. We don’t just build boats. At Jarrett Bay, we are committed to a positive ownership experience. It’s a big reason so many Jarrett Bay owners have built two or more boats with us. When you call with a problem, a question or to schedule routine maintenance, we’ll give you a can-do response. After all, we expect to be doing business with you for a long time. We place a premium on the relationship we have with each customer. Not only are we craftspeople working with wood and materials, but people working to always build honest and trustworthy relationships. We focus on solutions and have the depth of resources and experience to provide those solutions as quickly as possible. The same people who built your boat, are the very people who will help service it. That’s true whether you bring your boat to us, or we send a team out to your location. 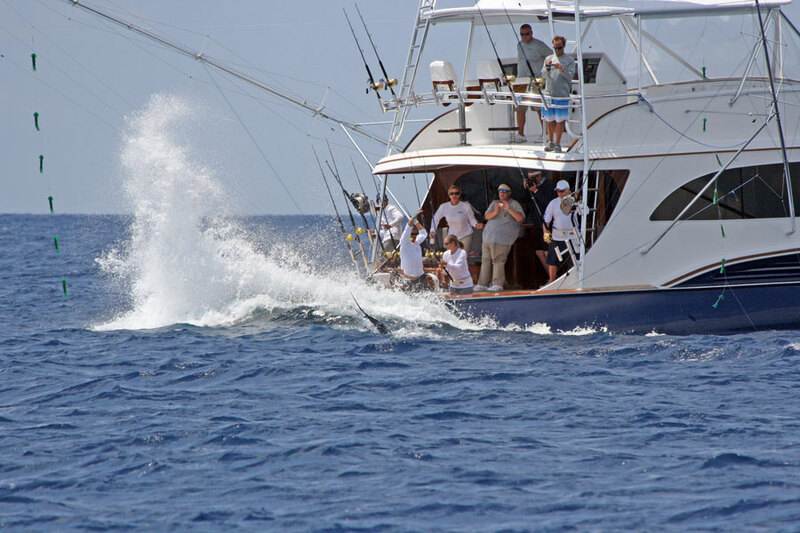 Remember, Jarrett Bay is not just the premier builder of sportfishing yachts. Our full service yard and refit facility, located conveniently on the ICW at mile marker 198, deals with hundreds of boats every year. 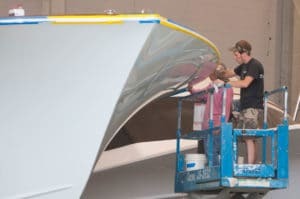 Staffed by over 25 technicians, many with American Boat and Yacht Council (ABYC) certification, these professionals solve more problems in a season than many builders see in a lifetime. In short, we are geared-up to provide expert and expedient service. Additionally, the Jarrett Bay Marine Industrial Park houses a multitude of suppliers and service providers that we work with each and every day. With our extended family network of dealerships, marinas and yards across the globe, you can be sure of getting quick, competent service for the life of your boat, wherever you choose to fish. The process of building a Jarrett Bay includes your getting to know the designers, engineers, foreman and technicians who build your boat. So you don’t just know where to call—you know exactly who to ask for. Located at ICW mile marker 198, just west of North Carolina’s Beaufort Inlet, we are on the preferred route of boaters transiting the Outer Banks. We offer 1,300 feet of deepwater dockage, lift service to 220 tons, and can handle vessels dockside in excess of 150-feet. Between our boatbuilding operation, our service yard, and the many marine businesses located in the Jarrett Bay Marine Industrial Park, almost every service imaginable is available on-site. Jarrett Bay is not just ready and willing to meet your customer service needs, we are uniquely located and equipped to do so.